Attract more customers and increase print specialities using white ink, double-sided printing, matte/ gloss and textured effects. The HP Scitex FB550 gives print service providers the opportunity to offer customers more exciting and versatile products than ever before. 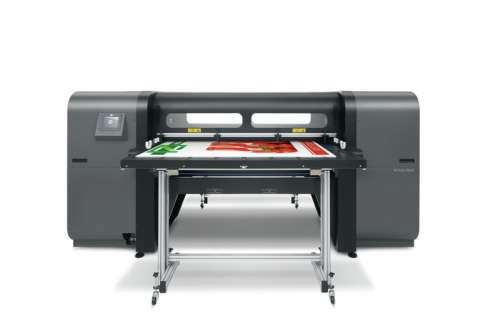 Getting started in the Flatbed industry has never been easier, the HP Scitex FB 550 is simple to use, comes with time saving features such as multi-image, muli-size four board loading system, white ink option and load, print and collect simultaneously. The use of UV Curable inks helps keep the workplace free from offensive odours and doesn’t require any special ventilation, all the while reducing print costs while producing high value applications. 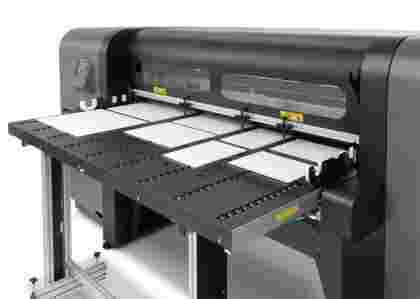 Unlike most other flatbed printers the HP Scitex FB 550 enables operators to load, print and collect media simultaneously with up to four different sized boards printing four different images. There has never been an easier way to produce vast amounts of prints in such a short space of time. 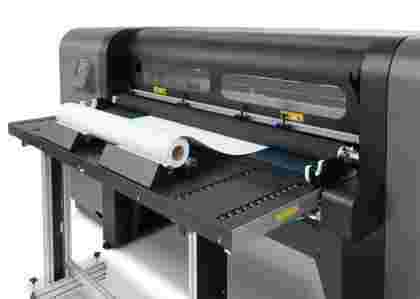 The Scitex FB 550 also includes new media rollers, designed to prevent damage to media when loading prints, plus a table top roller for short runs on flexible media. HP have also redesigned the media feed tables to easily fit into near any workspace, the new space saving design allows the tables to fold away when not in use. From retail POP/POS to Outdoor signage and standing displays to Fine art and decoration the HP Scitex FB 550 is capable of producing a wide range of quality applications with high retail value. With the optional white ink system, stunning backlit displays and bold window graphics can easily be produced. Unlike the HP Scitex FB 500 or Scitex FB 700 the new white ink formula and system in the HP Scitex FB 550/750 produces clean white prints.